The word-wide impact of evangelicalism has long been recognized as a vital force. Providing both a clear and accessible guide to the recent literature, this introduction examines the revival in the British Isles during the 18th and 19th-century within a broadly international context. By investigating the nature of the revival and emphasizing its link with popular culture, this analysis explores the centrality of religion in this period. 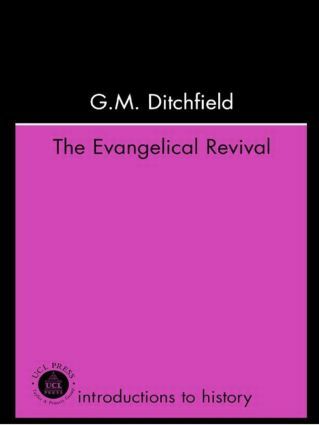 Posing questions such a "how far was the revival a threat to order?" And "what was its influence on society?" This work provides an introduction to the topic for all A-level and undergraduate students of 18th and 19th-century British history.